A great nativity plan for a fun and energetic Key Stage 1-2 Nativity play. A Really Noisy Nativity! is filled with creative ideas and flair. A Really Noisy Nativity! is a fun, lively and interactive Christmas musical, written to get children to sing, join in with sound effects and generally be loud! The story can be performed in two different ways, with more or less adult interaction, depending on the age and confidence of the children and number of performers. The songs have been written with Alison Carver's usual flair and sense of fun, and are contained on the accompanying free CD  there are two recordings of each song; one with vocals and one to use as a backing track. So, go on ... make some noise for Christmas! Please note you need to acquire a performance license to perform this play. A Really Noisy Nativity! by Alison Carver is published by Kevin Mayhew and is our 22559th best seller. The ISBN for A Really Noisy Nativity! is 9781848672680. Reviews of A Really Noisy Nativity! 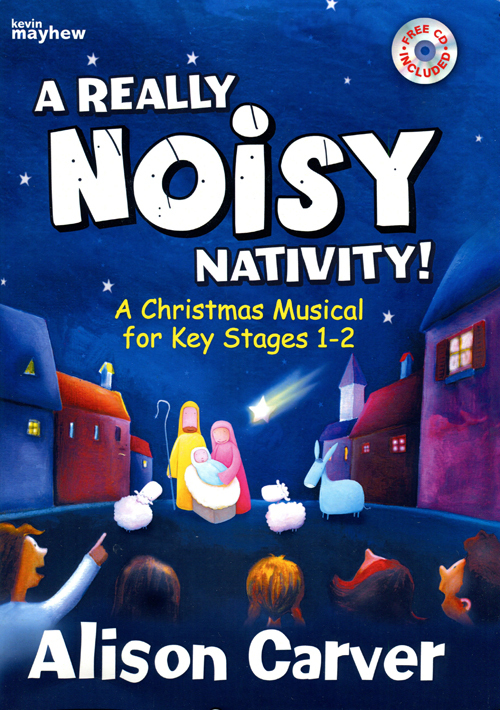 Be the first to review A Really Noisy Nativity!! Got a question? No problem! Just click here to ask us about A Really Noisy Nativity!. Details for A Really Noisy Nativity!